Nothomb is certainly victorious. Not only is the story compelling, the prose is exceptional. “I lived everything daring those three years: heroism, glory, treachery, love, indifference, suffering, humiliation. 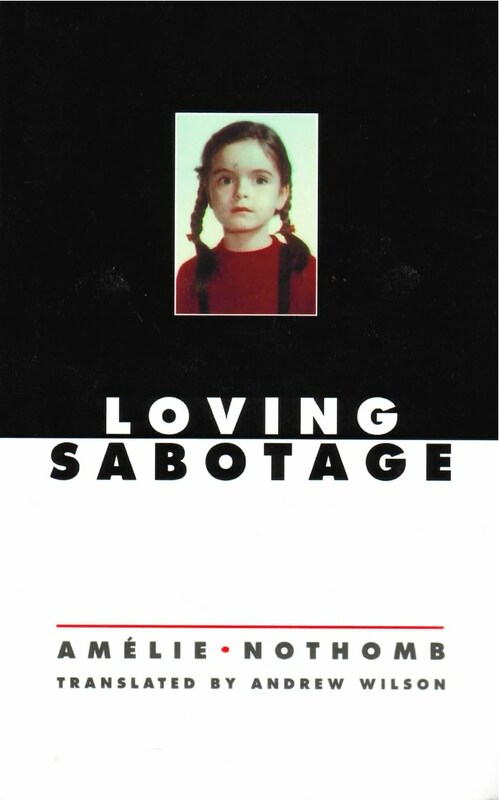 It was China; I was seven years old.” So announces the narrator of Loving Sabotage, Amélie Nothomb’s critically acclaimed novel about a young girl who seems already stripped of illusions. The daughter of diplomats posted to Peking in the mid-seventies, she charges about the grim confines of the gated government enclave battling tirelessly against boredom, concocting a fantasy life as rich as her surroundings are bleak. During one of her tours of duty in a war that has broken out in the ghetto between the children of various nations, she encounters a young Italian girl, Elena: beautiful, aloof, disdainful of silly games. The narrator is instantly infatuated and comes to realize the only fight worthy of her attention is shattering Elena’s indifference. Provocative, outrageous, and caustically funny, Loving Sabotage recounts a precocious girl’s understanding of the struggles and pains of adult life.